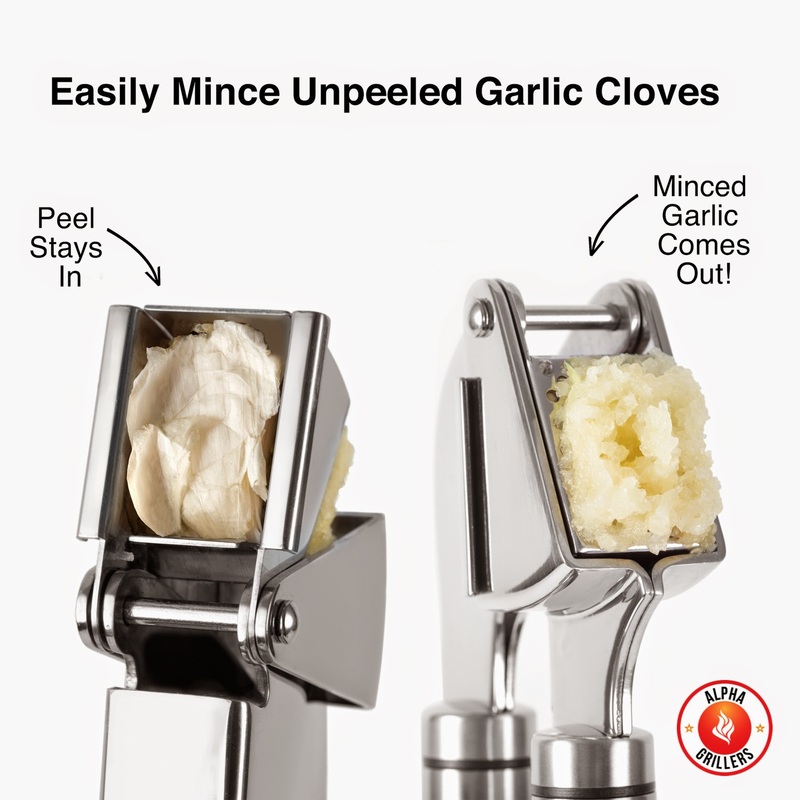 With the Alpha Grillers Garlic Press, you can easily press garlic cloves, both peeled and unpeeled. It is well built and sturdy. The Press is also ergonomically designed for easy squeezing and its sleek and sturdy design is aesthetically appealing. Really dishwasher safe too!?! Oma wishes she would have found this invaluable kitchen tool sooner. 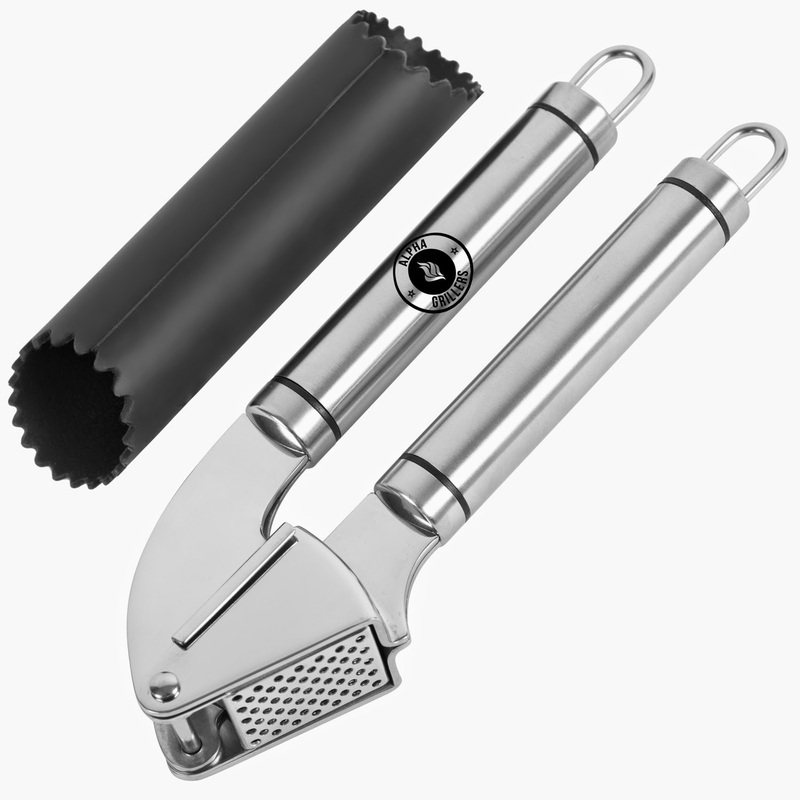 The Alpha Grillers Garlic Press and Peeler Set is the perfect give for anyone who likes to cook! To make it even more of a no brainer, buy today and you will receive a 100% MONEY BACK LIFETIME GUARANTEE. 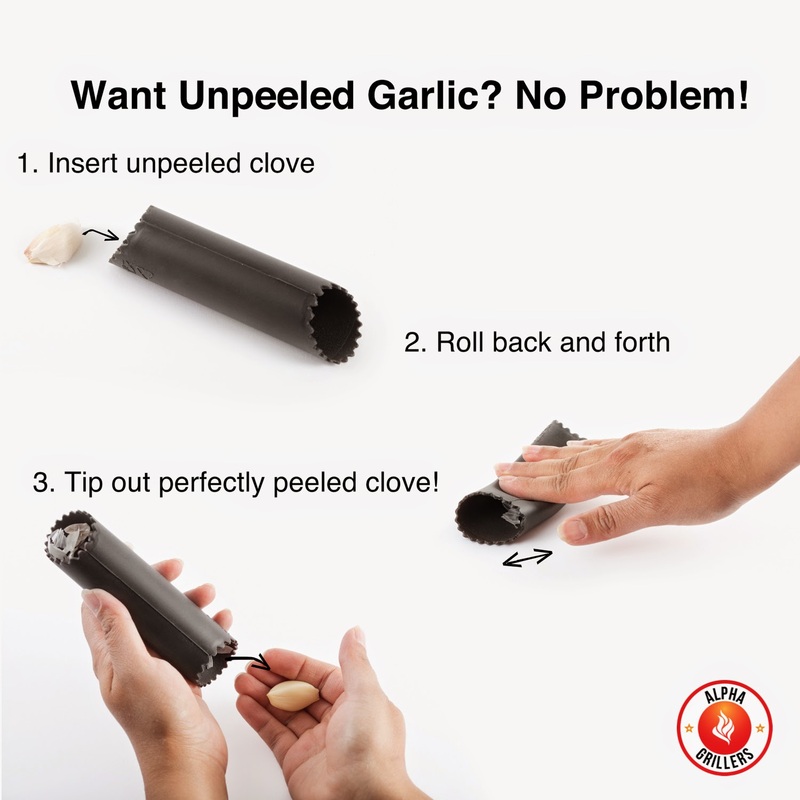 But that’s not all, with your order, you get a BONUS EBOOK: "50 Delicious Recipes Using Crushed and Sliced Garlic"
With the Alpha Grillers Garlic Peeler and Press, there is no need to buy the “already-minced garlic.” Fresh garlic tastes so much better and is easy to prepare with these quality kitchen tools.